St. John's-based presenter Neighbourhood Dance Works (NDW) celebrates the twentieth anniversary of its Festival of New Dance from September 16th through 25th, 2010. Festival highlights include: Peggy Baker, Gwen Noah, Lee Su Feh, Daniel Léveillé, Heidi Strauss and Mira Hunter among others. Newfoundland-based artists will include Louise Moyes and emerging artist Mark Bath; two remounted works are included as part of a retrospective look at NDW's history. NDW was founded in 1981 by Cathi Ferri and Agnes Walsh as a performance collective creating innovative dance pieces for the stage. 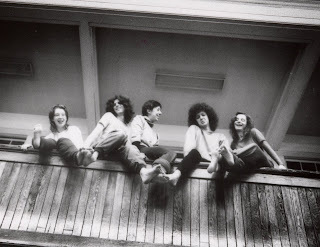 In 1990, the organization shifted its focus towards presenting, introducing the first Festival of New Dance curated by Ann Anderson and later by Lois Brown, Anne Troake, Sarah Joy Stoker and now by a committee made up of board and community members. NDW is a member of the CanDance Network and programs local, national and international new dance for St. John's audiences, and supports the careers of dance artists in Newfoundland and Labrador through professional development programs.